Attention backpackers and Geography buffs! Think you know the Parthenon, the Grand Canyon, the Taj Mahal, and beyond? Then challenge yourselves with this new quiz game! 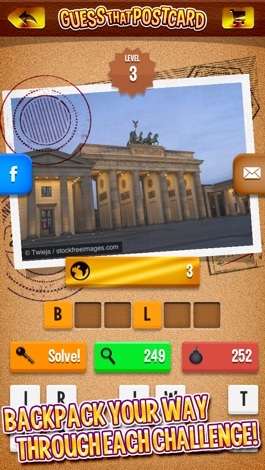 In Guess That Postcard, you will see postcards from all over the world. Your task is to find out where they’re from! 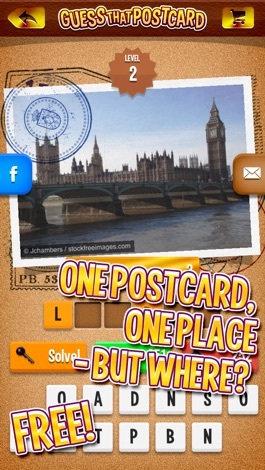 Guess That Postcard is completely free to try! Just tap the download button and start playing! Playing is super simple! Spelling your answer is as easy as clicking on the letters you want to use. A little lost? Don’t reach for a map! You have several hint tools at your disposal. You can remove and reveal letters with the magnifying glass or bomb icons. 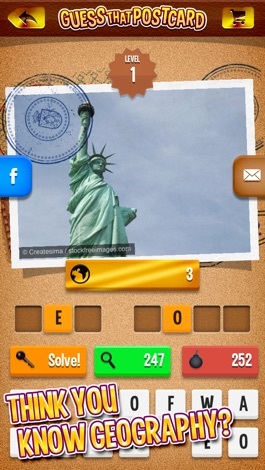 Tap the globe icon to see what country a postcard is from. Or you can use the key to skip any question that’s too tricky! When you complete enough levels, you’re awarded free hints that you can use later on in the game. If you need more hints, you can purchase them through the app. 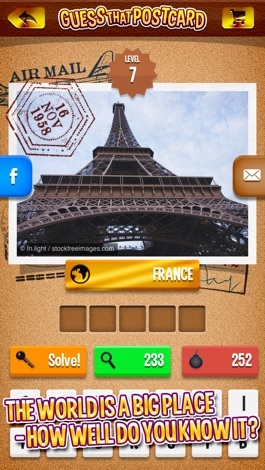 Guess That Postcard contains hundreds of pictures from all continents! How many can you navigate your way around? Prepare for a trip around the world! 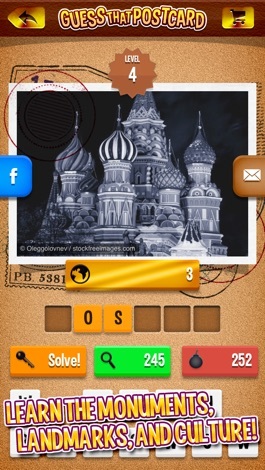 Download Guess That Postcard now for free! Flea Slot Car is a funny and easy to play racing game. Build your own slot car tracks and race with your tiny flea piloted cars.